“Since Harvey made landfall, I have said that this Texas-sized storm will require a Texas-sized response. My goal is for our state to become a national model in handling every aspect of disaster and the interim charges I am releasing today are the next step in achieving that goal,” Patrick said in a statement. Lawmakers aren’t scheduled to meet again until 2019 — Gov. Greg Abbott has insisted he won’t call another special session for Harvey relief. The lieutenant governor and House speaker typically direct House and Senate committees in between sessions with policy issues to research. Speaker Joe Straus released his directives to the House earlier this month. Study ways to improve capacity and maintenance of Addicks and Barker Reservoirs and evaluate plans for possible third reservoir. Pursue a centralized system for data-sharing about rainfall and stream gauges, flood management projects and flood warnings — such as a state agency web page. Evaluate whether a flood warning system could be developed through mobile devices and whether existing local and regional forecasting infrastructure could be integrated into a centralized system. Examine collaborative opportunities between federal and state agencies for development and maintenance of flood mitigation infrastructure. Examine infrastructure security and energy restoration post-Harvey, and identify ways for state agencies to help utilities manage resources before a hurricane. Evaluate how state mortgage requirements can improve to better notify homeowners on their need for flood insurance. Determine if any local government regulations could be a detriment to rebuilding efforts. Study home equity rules in the Texas Constitution and whether changes could be made to offer relief to homeowners victim to natural disasters. Recommend changes to the Education Code that would expedite state response to school districts and charter schools in the aftermath of disasters. Assess impact of Harvey on school finance and potential changes to student enrollment calculations or property valuation. Consider actions the Commissioner of Education may take in response to student displacement, such as adjusting attendance levels. Recommend legislative action to improve the process and timeliness of payments to districts by private insurers, FEMA and the state. Monitor the use of federal and state funds currently being used for Harvey relief and ensure efficient use. Evaluate long-term economic impact of the storm on Texas and the gulf coast region. Examine how to improve property tax law to to advance recovery while minimizing excessive taxing and spending. Study if there are statutory changes necessary for a municipality to to be able to redirect revenue from Tax Increment Reinvestment Zones (TIRZ) for a period of time to help pay costs associated with recovery and rebuilding efforts. Analyze state and local response related to vector control, immunization needs, allocation of health-related volunteers, adequacy of an emergency medical network, and evacuation of vulnerable populations from state-regulated facilities. Recommend legislative changes to improve public health response to disaster and coordination between all levels of government. Study impact of Harvey on the capacity of out-of-home placements and care for youth in juvenile justice and child welfare systems. Recommend how the state can ensure adequate support and care while facilities are rebuilt. Examine efficiency of the Supplemental Nutrition Assistance Program and Disaster-SNAP in Harvey-affected areas. Evaluate ways to improve coordination for rebuilding housing and infrastructure after a natural disaster. Recommend cost-saving options for FEMA to utilize in providing housing assistance directly following a disaster. Study the possibility to create a comprehensive list of housing opportunities to disseminate information to survivors. Find ways to use local resources and automatically waive local government regulations to facilitate rebuilding. Monitor distribution of federal funds related to housing and infrastructure, including community development block grant funds to ensure efficient allocation of state and local resources to reconstruction. Recommend options to expedite debris removal, potentially removing regulatory restrictions. Review emergency operations such as evacuation routes and procedures and use of Disaster Recovery Centers. Ensure emergency management officials have the tools and authority to promptly respond to disaster areas and alert citizens of threats. Recommend ways the state can maintain a single, web-based source of information that outlines state emergency operations. 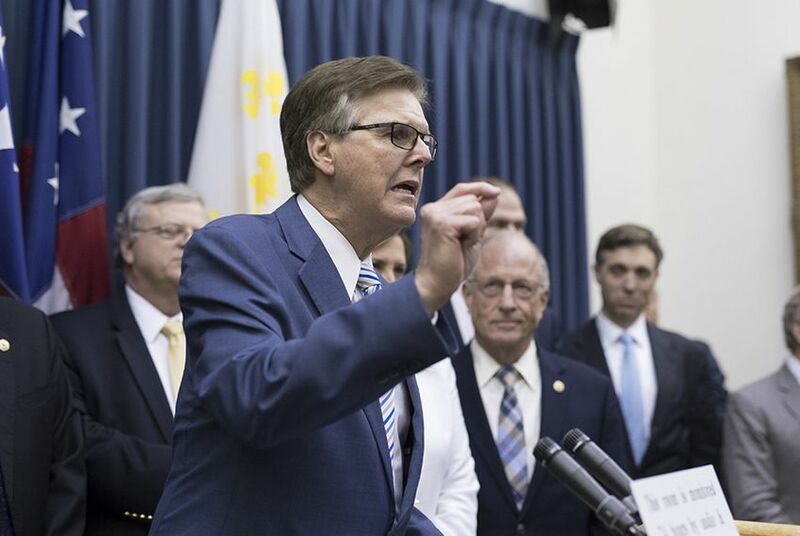 Review the Attorney General’s efforts related to price-gouging and determine how any changes in legislation can better protect Texans in a natural disaster. Determine whether current penalties are sufficient to deter looting during a disaster. Review impact of Harvey on transportation infrastructure and recommend how best to reconstruct.